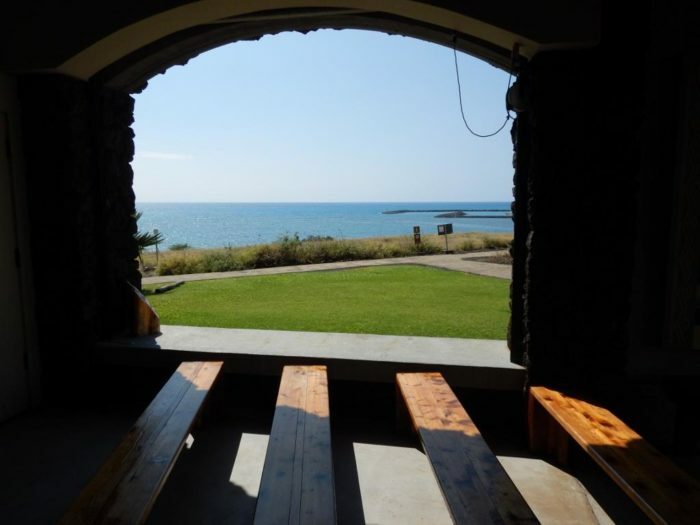 Located on Hawaii Island’s southern Kohala Coast, Pelekane Bay isn’t your typical Hawaiian beach park. You aren’t allowed to go swimming, sunbathing, camping, or even picnicking along the beach. Why? 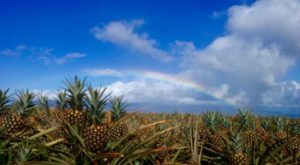 Because this natural oasis is home to many ancient sacred sites, including traditional Hawaiian temples like Pu’ukohola Heiau. And while these sacred sites are certainly worthy of a visit, it’s what is hidden deep beneath the ocean’s surface that makes this bay truly remarkable. Scroll on to see just what we mean. 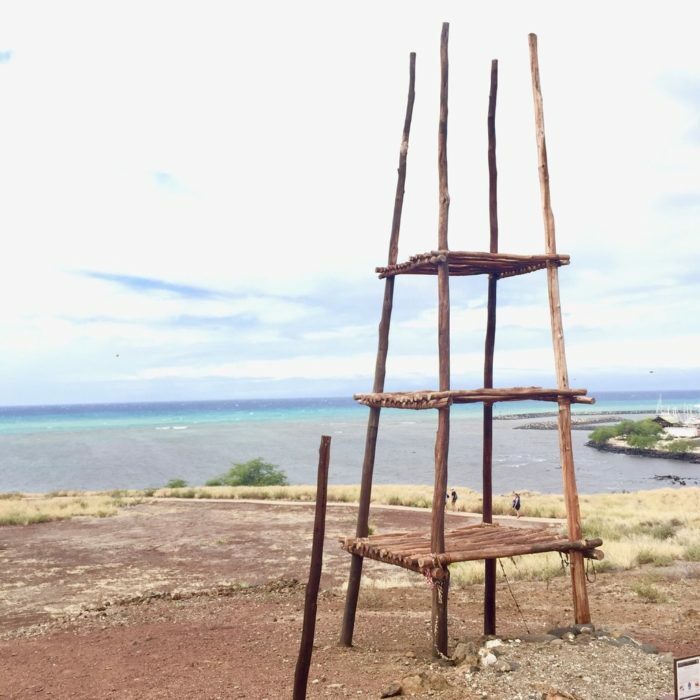 Found just offshore in Pelekane Bay, are the remnants of an ancient Hawaiian temple — or heiau — called Hale O Kapuni that was created to appease the shark gods. Yes, you indeed read that correctly: sharks were once worshipped as protectors, and this shrine, in particular, was dedicated to the shark god Kauhuhu. Rumor has it that human sacrifices were carried to a heap of stones in the ocean where sharks would devour them. 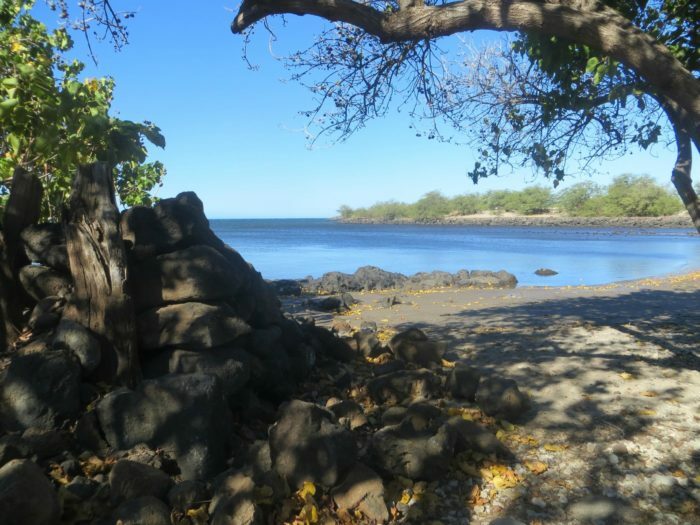 The heiau ruins are said to have been last seen during low tide in the 1950s, but you probably won’t want to go looking for it anyway — sharks still frequent the waters where the temple is believed to be located. 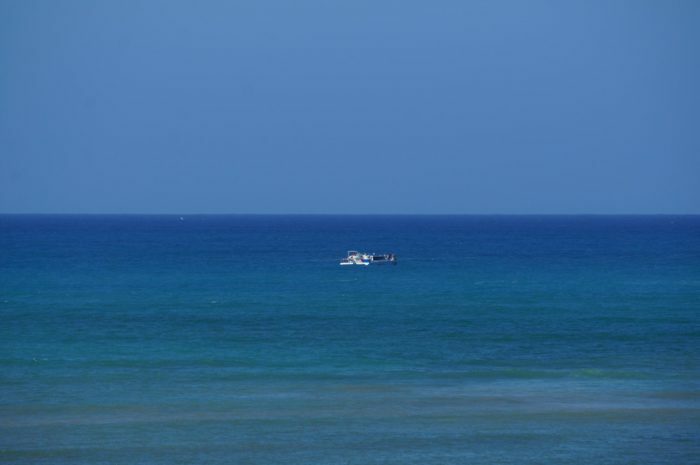 Locals consider the area a breeding ground for sharks, mainly black tips and grays. 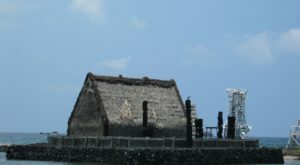 An informational sign near the beach reads "The submerged remains of Hale o Kapuni Heiau, a temple dedicated to shark akua (deities), are believed to be just offshore. 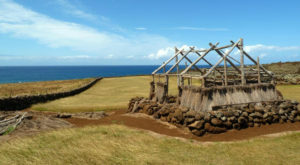 The heiau was built by a chief whose family revered sharks, believing that the family's 'aumakua (deified ancestors) could become physically present within sharks. 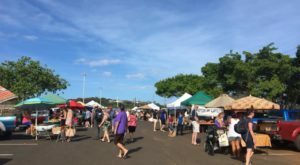 A Hawaiian family often revered a specific animal species, in the belief that the spirit of a helpful ancestor might appear to them as one of that species during times of distress. 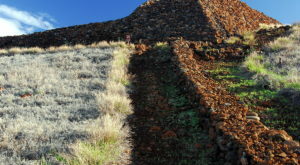 The exact construction date and exact location of Hale o Kapuni Heiau are unknown. It is hoped that underwater archaeology will tell us more. The National Park Service strives to protect all cultural resources, whether on land or submerged." 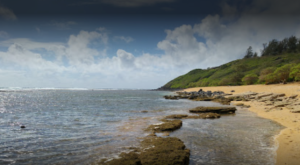 While purely based on rumors and folklore, there’s no denying that the existence of an underwater heiau dedicated to a shark god and rife with human sacrifice makes for a good story. What do you think? 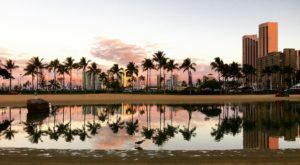 Is there really an ancient temple hiding in this Hawaiian bay? Sound off in the comments below. 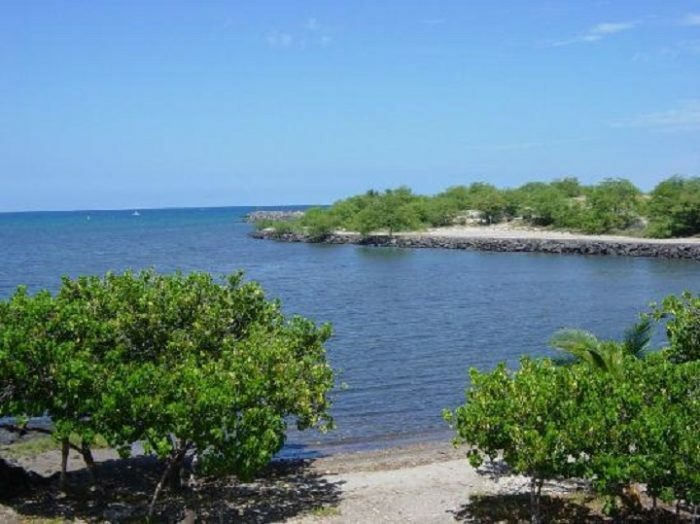 Pelekane Bay, and the nearby Pu’ukohola Heiau, can be found at 62-3601 Kawaihae Rd., Kawaihae, HI 96743. The park is open from 7:30 a.m. to 4 p.m. daily. 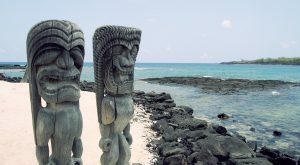 Want to visit another Hawaiian heiau with a history of human sacrifice? Click here.